Reared in a family of artists, writers, professors, and university presidents, Long was as precocious in his artistic ability as he was eager to apply it. At 18, Long followed his father's footsteps to the University of North Carolina at Chapel Hill, where he majored in Creative Writing under the guidance of his friend and advisor Reynolds Price. Upon completing his University coursework at the insistence of his advisor Long moved to New York to immerse himself in the study of fine art. 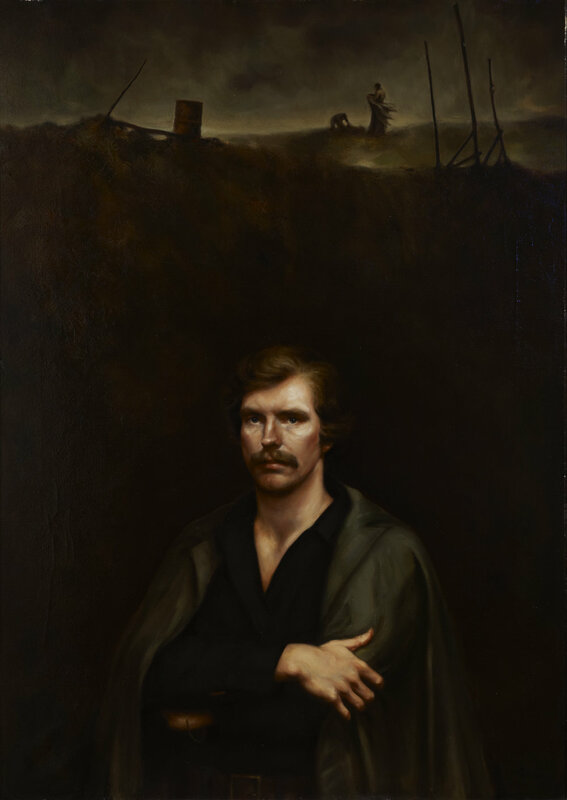 In NYC, Long became a member of the Art Students League of New York, studying under the guidance of such notable artists as Robert Beverly Hale and Frank Mason. Then, in 1969, Long preempted the draft by enlisting in the U.S. Marine Corps. He served just over two tours of duty in Vietnam as a Marine Corps Combat Officer; during his last tour he served as Commander of the Combat Art Team, and much of his work from that period is now on display at the United States National Marine Corps Museum. Upon leaving Vietnam, Long traveled to Florence, Italy, to apprentice himself to internationally renowned Maestro Pietro Annigoni, with whom he learned the art of True Fresco. Long committed himself to Annigoni for almost nine years. His apprenticeship culminated in 1976 when he was awarded the prestigious Leonardo da Vinci International Art Award. In 1984, Long moved to France where, for the next 14 years, he split time between Paris and the Gard region of Provence. By that time Long had completed several frescoes in Italy - including a joint fresco with Annigoni and the only work by a non-Italian at the Abbey of Monte Cassino. These works set the stage for several major fresco projects in the U.S. (15 to this day) including a dome and the largest secular fresco in the United States. In addition to his prolific fresco work, Long has had works in the Royal Academy as well as the Royal Portrait Society (London, UK). He has exhibited in Florence, London, Paris, Atlanta, San Francisco, New York, North Carolina, and South Carolina, and is represented in major collections throughout Europe and the Americas. He has lived and worked in Europe for over thirty years and now divides his time between Europe and the United States.